Its black history month and I thought a great way to end the month would be with a list of 5 awesome children books written by black authors. Today, kids have a larger selection of children books that have characters of all shades that they can better relate to. 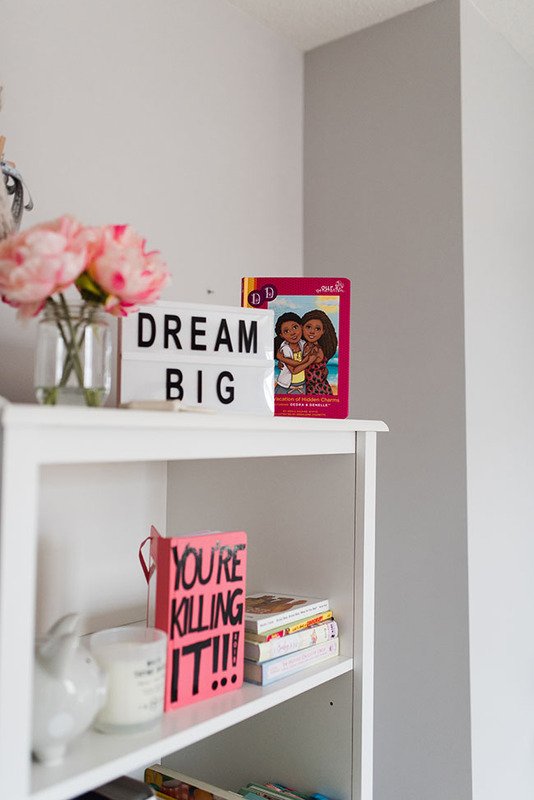 I’ve rounded up five books that every child should read. 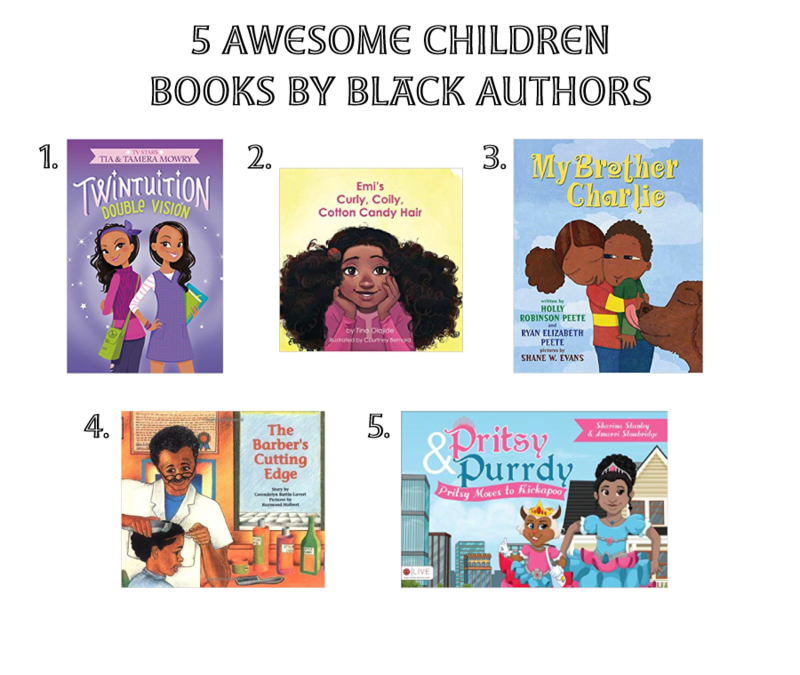 Whether it’s about loving your big curly, coily hair or dealing with bullying, these books are written by amazing black authors that will have your kid love story time even more. Also, check out my previous post 8 must-have classic children’s books for more book recommendations. The actresses, Tia and Tamera Mowry created a story of two twin girls, Cassie and Caitlyn that have magical abilities. The story takes place when their mother forces them to move from San Antonio to Aura, Texas. Caitlyn tries to adjust to the new area and make new friends but Cassie is convinced that they will get sick of Aura and move back to San Antonio. This is a good book for older children. Emi has a big imagination and is only 7 years old. Throughout the book, she shares why she loves her curly, coily, cotton candy hair. This book also includes basic hair care techniques that are presented in a fun way that your little girl would enjoy. Pritsy moves north away from her home in Sweet Lips, Tennessee and settles in at her new school at Hope Elementary. However, the kids at school are bullying her but when she finds a new furry friend, Pritsy finds a way to tackle the difficulties at her new school. This is a story about a close relationship between a young African American boy name Rashaad and his mentor, Mr. Bigalow. Mr. Bigalow’s barbershop is where the people in the community come together to talk or play games. For Rashaad, he loves going there to get a little help with his schoolwork. Throughout this book you’ll see that Mr. Bigalow is not only a barber but a role model and friend to Rashaad. This book displays a relationship between a girl and her autistic brother. Callie loves that her brother Charlie is good at swimming, playing piano and has a special way with animals. However, sometimes Charlie is quiet and his word gets locked inside of him. When Callie and Charlie start to play, Charlie is back to laughing and having fun again. This book will teach you about love, tolerance, togetherness and hope. Here is my list of children books written by black authors. I picked a variety of children books that displayed different experiences, so hopefully you can find something for a kid in your life.